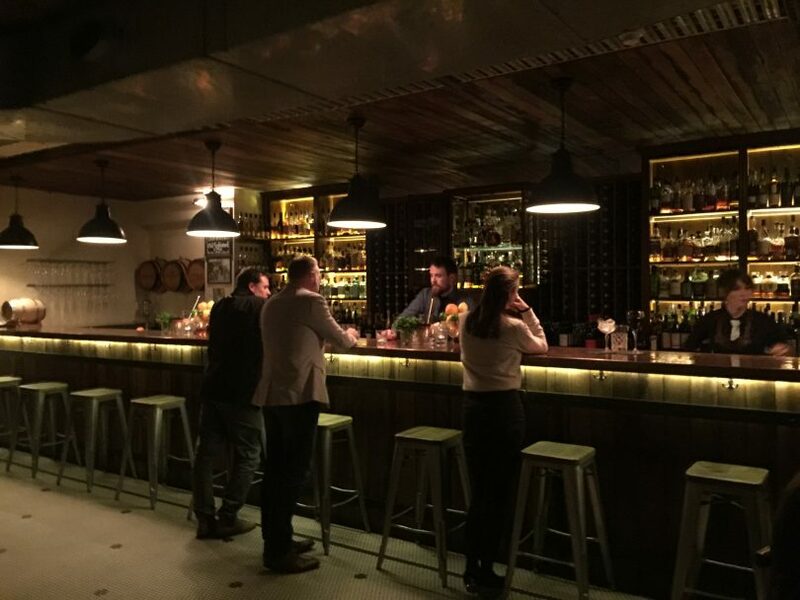 Everyone’s favourite whiskey bar in Canberra maybe opening its doors for customers for the final time. Photo: Tim Benson. Molly, the cult city speakeasy with no address, is closing down. However, reports of her passing may be premature. The whisky bar, situated in a mysterious location found only by its GPS coordinates and boasting a line of Prohibition-era cocktails, may have to leave the building, but word is it may rise phoenix-like in another venue. When and where is still a mystery. The current basement venue is facing the wrecking ball, four years after Antony Arena, Dean Brown, and Lorenzo Focarile transformed it into a Prohibition-themed bar for an intimate, destination, adult experience. Antony is keeping pretty coy about Molly’s future but if the stars align it will be a bigger and better place, with new interesting spaces, more music such as the present live jazz, and a little food to go with a quiet drink. “The only way we are ever going to do this is if we can make it better, more interesting, and improve on this really cool little place,” Antony said. He said when Molly first came on the scene it ‘just went off’. “It became a lot of people’s favourite really quickly because of its authentic nature,” he said. He said the most interesting thing was the way it attained cult status and resonated with people. “The thing I was shocked by was the amount of comments to the post saying we were closing. People were genuinely upset that we were shutting it,” he said. Molly will host a final hurrah at its current location on October 6 and 7 from 4 pm, with a range of good music and drinks, guaranteed to make it an unforgettable night. As for her new home, we may know by Christmas, but don’t expect to see Molly flaunting herself. You will have to keep a lookout for those magic numbers to find her again. What’s your favourite memory of Molly? Share it with us by commenting below! Sad to hear but if they can move to another venue soon they might be able to keep the feeling alive.